When it comes to launching a start-up, using your home as a business premises comes with a range of benefits. First off, you don’t need to pay for expensive office space. Likewise, you won’t expend money or time on travelling to work, and your hours can be dictated by you – rather than an office’s opening hours or a public transport timetable. Not to mention the joy of working in slippers with your cat on your lap. However, even in the comfortable and casual setting of your own home there are still a number of legal considerations to be made when trading as a business. In particular, you’ll need to be adequately insured. Also referred to as professional liability insurance or PI insurance, this covers you if you make a mistake or provide inadequate services or advice while working with a client. Claims against you that are covered by this insurance include libel and defamation, negligence, misrepresentation, errors, omissions, breach of confidence and loss of information or money (the list goes on). You’ll be covered for the legal cost of defending your business against claims and the compensation owed to the client. It’s easy to say you’ll never make such mistakes, but these things can happen accidentally – a fact that won’t necessarily stop a client from making a claim. If you deal primarily in knowledge and skills; offering a service or your expertise – for example as an architect, accountant, IT professional, consultant, trainer, designer, tutor, or something similar – you should think seriously about getting this cover. In fact, some clients won’t agree to work with you unless you have it. Public liability insurance covers you if a customer or client suffers an injury or damage to their personal property as a result of frequenting your business. Again, this insurance can cover the legal costs incurred if a customer or client makes a claim, and the compensation owed to the claimant. If members of the public come to your place of work (in this case, your home) or if you visit theirs, this should be a key policy for you. While a hairdresser, stylist or tattooist may seem most likely to accidentally injure a customer due to the nature of their service, nobody is exempt from the possibility. A customer who trips on your rug and breaks their ankle can just as easily make a claim as someone whose scalp is accidentally burnt by hair dye. Likewise, if you damage a customer’s wall while setting up equipment or even just spill a cup of tea over their laptop they could hit you with a claim – so it’s best to be covered even if the risk seems tiny. If you’re running a product business, it’s a possibility that a product you sell might cause injury or illness to a customer, or damage to their personal property. This insurance covers the legal cost of such cases, and the compensation the customer might win. You might think there’s no way one of your products would hurt someone, but accidents do happen. What if it’s an electronic product with a dangerous fault you haven’t spotted, or a toy with small parts that come away more easily than they should? What if your food product makes someone sick, or your skin cream brings someone out in a rash? In any case, whether you manufacture products, repair and re-purpose products, or sell products with your brand name on them, you’ll need product liability insurance. If an employee is injured, gets ill, or their personal property is damaged as a result of working for your business, they can claim compensation from you. Employers’ liability insurance is designed to cover this, along with any legal costs incurred. Put simply, if you have employees (or plan to hire employees in the near future) then the answer is yes. Whether your staff are full-time, part-time, casual workers or contractors, legally you must have this insurance or you’ll face fines of up to £2,500 per day. The main exception is when your employee(s) is a closely-related family member, such as a spouse, parent, child or sibling; in which case you may not need this insurance. One of the two tenets of home insurance, buildings insurance covers damage to the building you’re living in (but not the things inside it – that’s what contents insurance is for) in the event of an unexpected calamity like a flood, fire, storm or burglary. As if your home isn’t important enough, when you headquarter your business there it becomes doubly so. You’ll likely already have buildings insurance cover as part of your home insurance package. However, you’ll need to check your policy carefully as some don’t cover rooms used as office spaces; and it may be that you need to amend your policy – or replace it entirely – so that it does. The second branch of home insurance, contents insurance covers the possessions you keep in your home – including furniture, electronics, jewellery, money and more – against loss, damage or theft. Some policies cover accidental damage whereas others do not. You can also opt to cover items that you take out of the house, such as your laptop or the equipment you need to perform a service. Again, you’ll likely already have contents insurance, but your policy may need to be amended or replaced so that your business devices, tools and equipment are insured. Check your policy carefully to find out whether this is necessary. If it is, it’s best to get in touch with your insurer as soon as possible to update them on what you’re doing, and the equipment you’re using to do it. Providing as many facts as possible at the start of the process will help you avoid problems later if you need to make a claim. If you get into a serious accident it’s likely that you’ll be out of action for a while, and may need to embark on a lengthy recovery process. Personal accident cover provides you with money for day-to-day living while you’re out of work, as well as covering medical expenses. If your business needs you in order to forge ahead, close deals and make progress, it may stop making money while you’re away and recovering. In this case you might lose your own wage, and the payments offered by this insurance would come in handy. While this cover will only be called into action in an extreme circumstance, if you’re a solo founder with no senior staff members who could lead the business while you’re away, it’s definitely worth thinking about. When it comes to choosing an insurance policy, its important to consider the level of cover you believe you’ll need. Your professional indemnity insurance, for example, will only pay for client compensation and legal costs up to a certain amount – and this amount will depend on what you agreed to when buying your insurance. Do some research into claims typically made in your industry and by your target customer to get an idea of the level of cover you might require. It may be that clients expect you to have a certain level of cover. When finding the right insurance for you, it’s also worth shopping around for a comprehensive small business policy which includes all that you need in one go – you may find this to be a more cost-effective option than taking out a variety of separate policies. Starting a business from home? 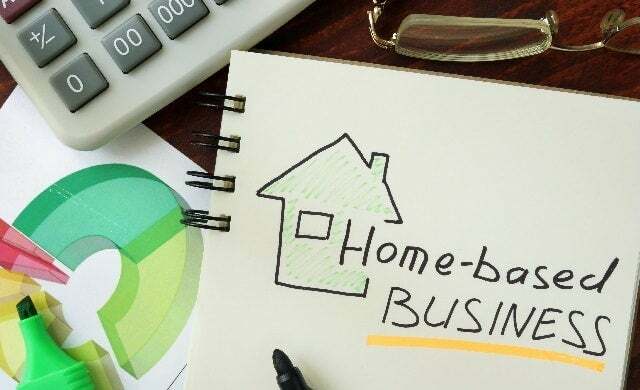 Check out our our comprehensive guides covering a range of home-based business ideas here!